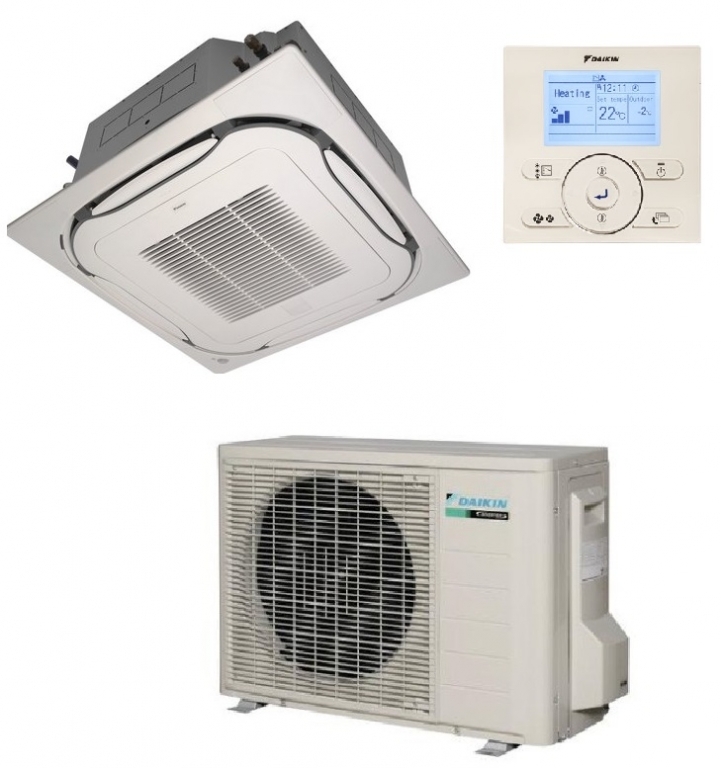 The Daikin FCAG35A round flow compact cassette offers an ideal heating and air conditioning solution to small business premises. The unique design offers uniform air distribution to rooms up to 35 square metres in size; other features include a 7 day timer clock facility via the hardwired controller, you also have the option of wi-fi control via the otional wi-fi module. Note this is the new R32 refrigerant model full details can be found in the brochure below.